Recently, my friend bought a tablet, that was iView Tablet. One day, he changed the pattern lock and then forgot it. He tried so many times so that Tablet started asking for Signing In with the Google Account. He took the tablet and came to me. I tried filling his credentials but nothing works. Then i searched online and found no specific working solution for this. I also tried booting to recovery and then resetting but that also didn't worked because i don't know how to go to the recovery mode in that device. Then i tried one another solution of Installing ROM and it worked perfectly. So, as i've seen too many users asking for the solution to this, i decided to post a step by step tutorial. If you too accidently lost access to your tablet then you can also follow this tutorial to Reset or Re-Install ROM on your tablet. I suppose that this will work for every iView tablet. In my case, the model was 754TPC. So, lets follow the procedure to Hard or Factory Reset your iView Tablet. The process is very simple. If your device is not listed then try searching for your device's model in the top search box. In search results click on download tab. Now the 1st result will be like 'Firmware For 'Device Model' '. Click on that link to download the Firmware for your iView Tablet. As i mentioned above, in my case the Tablet was 754TPC, so i searched and downloaded the Firmware which is as a .Rar file. Now extract that downloaded files to a folder. One folder will be live suite pack and other will have boot img or .iso file. A pop up will come with two options. Click on 'No'. Click on First Icon and select the firmware file (.iso. file) that was in the extracted folder. Now Turn OFF your Tablet completely. Press and Hold Back Button and connect the tablet to computer via USB and simultaneously press Power button 7 times. Now a pop up will be shown on computer's screen. Click on 'Yes'. An another confirmation pop up will come, again click on 'Yes'. Now the tool will start formatting your iView Tablet. Wait for the process to complete 100%. It'll show a pop up when the formatting is completed. Click on Ok. Disconnect your Tablet from the computer and Turn it On. It may take sometime as it is booting for the first time. As you'll see, You have successfully unlocked your iView Tablet. Please don't forget to say thanks via comments and like us on Facebook if it helps you. Well, it may take some time to complete. But in my case, it was not about 30 mins, it almost took 10 to 15 minutes to complete. I think you should try again and if still not working, then you should try it on other PC, or try updating your Computer with latest Updated drivers and software. its not working for me...so hopelesss..."sigh"
I am so sorry that it didn't worked for you. But i can't understand that Why it is not working for you. I've followed the same procedure and it just Worked. Actually i have created this Article about Unlocking or Resetting iView Tablet because i got Stuck and i was not able to find any Help Online. So, Please be sure that you followed every Step carefully. Please ensure that you Downloaded the Original Firmware File Completely. Thanks, it help me a lot. It has a pretty good explanation of what this article is talking about. I am so glad to know that. Thanks for your addition. I really appreciate that. How can you reset it of your usb port doesn't work? Sorry Dear. I can't say anything about that. Because the Recovery Menu is in Chinese and not in English so i cannot understand and even not sure that this Tablet has any option for resetting from boot menu. Though, you can try the above steps on your friend's computer or Laptop or in some Cyber Cafe. It would be very helpful for readers if someone who knows Chinese can tell us about the Options given in the boot menu of iVIew Tablets. I am really sorry that you are facing this problem. As far as i know, i would suggest downloading a new firmware file and then re-installing it. If your Tablet Model is different than what is mentioned in the post then tell me the exact model and i will see if there is a Firmware File for it. The step number 14 never pops up. I have tried and tried to get it to work. It comes up with a warning. There may be some difference according to your Tablet and Firmware Model. Proceed With Whatever came up. Tell me if you are not sure. I am Sorry Dear Saul. Most users reported this problem but it worked out after restarting PC, re-downloading original respective firmware file and then performing the whole process again. It worked perfectly for me. My tablet wasn't able to access Android, it just held the screen on the Android start up animation. Good to know that it worked on your Tablet. Hi Mrs Gee, Yes i know that. I also tried resetting tablet by going in to recovery menu but it was in Chinese and i also selected each option there, but it didn't help. Yes, it will also resolve that 'Stuck in the Android Screen Issue'. Just give it a try. Download files and follow the steps. Thanks a lot for your tutorial! It works perfectly on a friend´s tablet. Greetings from Mexico. Excellent, very good contribution, for those who can not connect the tablet to the computer. Holding the back button, connect the USB cable then press the Power button until you see the message on the screen or pop, drop back and lit buttons and give if at 2 pop and begin formatting the tablet. At the end will see another popup window and screen Tablet iconode disconnected battery charging usb cord kindle tablet tablet tablet formatted and ready. Thanks Dear, For appreciation and for those useful instructions. Dear, look at the comment above made by Rene. Follow these steps and i think it will help you. Thank you so much, I have the 754TPC for my daughter. It was her birthday present and she hasn't played on it but maybe 3 hours since she got it in August. Then she comes to me and says "daddy, my tablet won't come on, it is stuck on this screen." I tried resetting it and just about anything else i could think of. I'm so glad i found this. After following all the steps the tablet booted up perfectly. Now, I just have to find all of her games again. Small price to pay though. my tablet stuck when i open it in the android logo how can i manually hard reset it? Dear Lenard, These steps are already discussed above. The steps given from number 12 are for manually hard resetting your Tablet. Have you followed the tutorial completely? thank you for this tutorial. I am going to try it. Will let you know how it turns out. You are Welcome Dear Kristin. I am waiting to hear from you. Hope it will work for you also. Thanks Pal Worked flawlessly once i got LiveSutie to Install on Windows 8 !! That is Great Dear. I am glad that it worked out for you. Enjoy playing with your iVIew Tablet. I got these steps from tech support and it worked. 1. Turn off the Tablet. 3. Press "Volume-" key, choose “wipe data/factory reset”, then press power key to confirm. 4. Press "YES-- delete all user data”, then press power key to confirm. The tablet will turn back on. That is Great Dear. But i don't think that Menu or Options will be displayed in English, most of them are in Chinese. Anyway, Thanks for this Information. I hope it will be useful for readers. It is good to know that you tried and found success. Stay tuned for related stuff. Thanks for this great info! I'm still trying to figure out how this would work though. We have the same model. 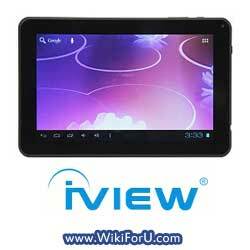 Iview tablet 754tpc. Really, thanks alot. You are Welcome Dear...I am glad you liked it. I have tried everything it has told me and this one is just not working!!!!! What am I doing wrong??? I am sorry Dear. But i cannot help until i know the exact step where you are stucking or having problem. Please try to explain a little bit. My Iview tablet 754tpc won't turn on!!! What should I do??? I think you check if it is a software problem or a hardware problem. Try connecting to a charger or PC and see if anything comes up to screen. If nothing shows up then it is more likely a hardware problem in which case you should go for iView Support Center or some hardware mechanic. I hope your Tablet will work. Worked great, took me a second time as my 435tpc does not have a back button. I held own the power button while hooking it up to the pc. worked great only took approx 5 min. thank you. I am really glad to know this. Thanks for sharing your experience, that would also be helpful for other readers. I am happy for you. Enjoy your device. LiveSuitPack works on every Windows computer. What Operating System are you using right now? You should try installing LiveSuitPack on some other computer. Hope this will let you factory reset your iView Tablet. 2. Press return then tap no. 2 option in menu. 5. Hold power to reboot. That will restore tablet to out-of-box condition. Hope this helps. I hope this will be much helpful for other Users of iView Tablets. Simple reset for anyone who cannot connect to a computer. I have the iview 776 tablet, my daughter set a really long screen lock then forgot it right away. I simply help down the lock and power buttons simultaneously and let off ONLY the power button when it powered off to turn it back on. AS SOON AS IT STARTED POWERING BACK ONi pressed the power button 7 times, this will bring up a boot menu, I then selected factory reset, yes then reboot system now. This took literally less than 2 minutes and started fresh with no screen lock. Super easy and no computer needed. Thanks! Hi Sabkannesh, is that the tablet from same manufacturer? Could you please give me a link to the product page? Then I can tell you if there is some solution for this. Muito bom, conteúdo único na internet, me ajudou bastante. Demorou menos de 5 minutos para formatar. Agradeço demais! You are welcome Dear. I am glad that it helped you out. Thanks man, it worked really well for me. Slight variations cause I have a 776tcp. the settings just stopped and i was unable to anything using my wifi or internet. it kept giving a prompt saying "unfortunately settings has stopped" and i could have only selected ok. but now it works great and faster. thanks again. how big was the rar file ? how big was the rar file? Thanks. This worked for me. Livesuit is up to version 1.11 now. I used this veresion. 1.07-09 didn't work on my tablet. Thanks worked realy good ..
My iview tablet won't charge no matter what I do i've tried reseting it but it isn't possible it has to be charged what can I do? Have you tried with some other Charger or USB cable? I think there is some problem with your Tablet's charging/USB port. Hello. I'm using a 777TPC II. The rar file comes with a software called PhoenixSuit. It recommends to upgrade the program into a newwer version. Should I upgrade PhoenixSuit? Hi. I have an iVIEW-900TPCII that is stuck on "iview" screen while booting up. What should i do? Hi. I have an iVIEW-900TCPII that is stuck on "iview" screen when booting. What should i do? that is what it say everytime i click the web link. HELP!